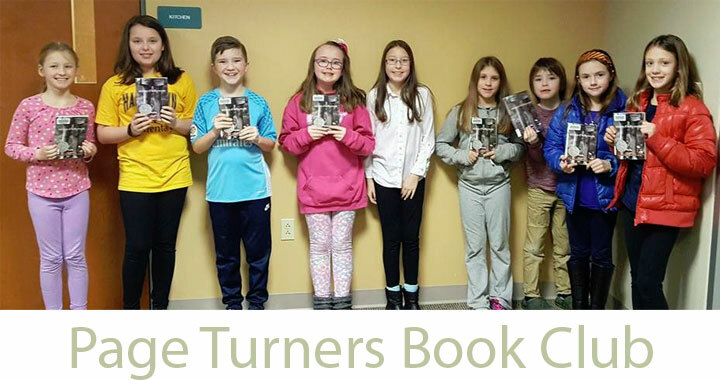 PageTurners is a new book club to NPL that just formed this past January. Designed to appeal to students between grades 3 and 5, we enjoy talking about the book, maybe playing a game of book-based trivia and having some snacks! Please contact the Children’s Library for more information. Our group meets the last Tuesday of each month at 6:30pm and copies of the books are provided via inter-library loan. The phantom tollbooth / Norton Juster Wait till Helen comes : a ghost story / Mary Downing Hahn. Pictures of Hollis Woods / Patricia Reilly Giff. The View From Saturday / E.L. Konigsburg. The One and Only Ivan / Katherine Applegate. Posted in Front Page Loop, Happenings and tagged Happenings, JustKids.